Sweet heart Name Necklace is beautiful. Made of sterling silver. 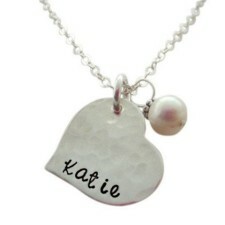 Comes with birthstone or pearl. We also have a style with two hearts. 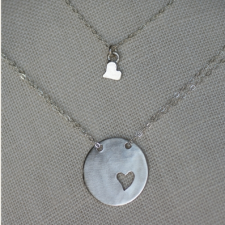 This hammered hearts personalized mom necklace is gorgeous. 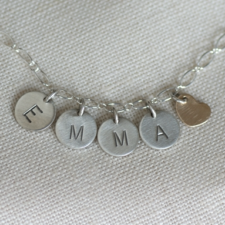 Hold your children close to your heart with this simple and modish Sterling Silver mom’s name charm necklace! 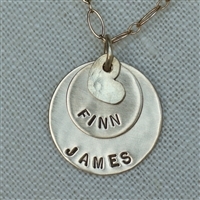 Features two Sterling Silver hammered heart charms, hand stamped with names or birth dates. 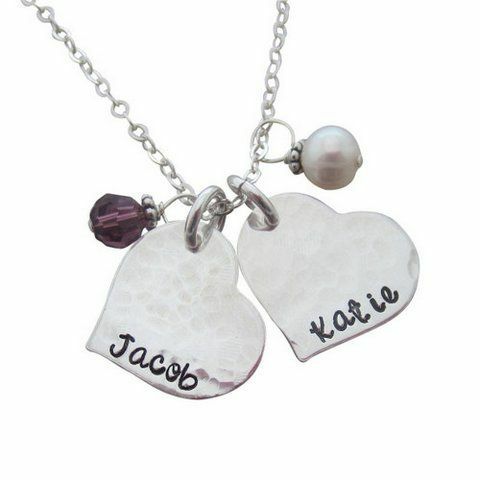 This sweetheart Birthstone Necklace for Girls is precious. 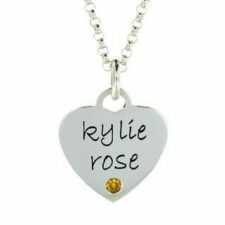 Comes with heart with engraved name and stone. Make your daughter feel special. 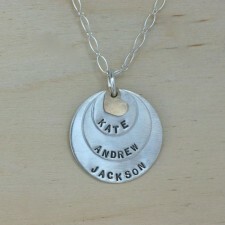 This Layers of Love Moms Necklace is one of our favorite necklaces. 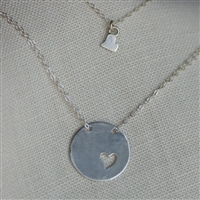 Keep your family close to your heart by getting this Sterling Silver Layers of love moms Necklace. This price is for the first layer and chain. Price goes up as you add discs. Shop My Retro Baby for mommy necklaces today. 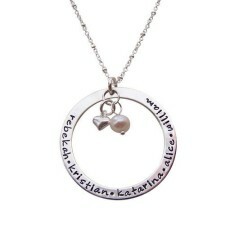 Our infinity personalized charm mom necklace is unique and beautiful. What a wonderful gift for Moms and Grandmas! Shop My Retro Baby for mom necklaces now!